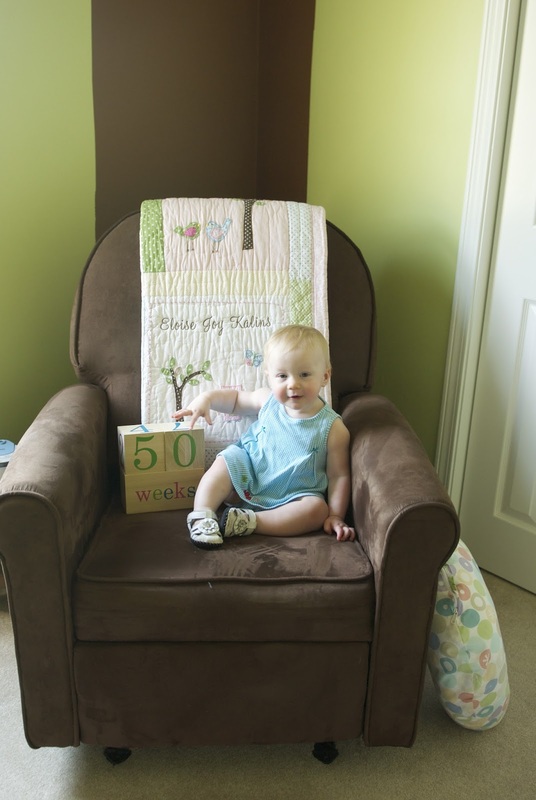 "5 - 0...50 Weeks old, People." Just 2 weeks away from the big day!! Last weekend we went to Lake Delavan to meet Aunt AJ's family - The Snows. 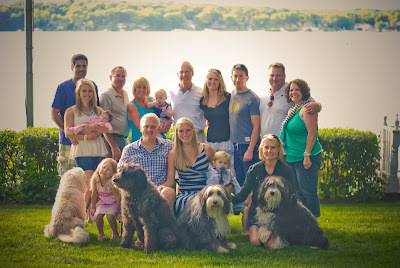 Uncle Brian & Aunt AJ are getting married next August so it was great to have our two big families meet. 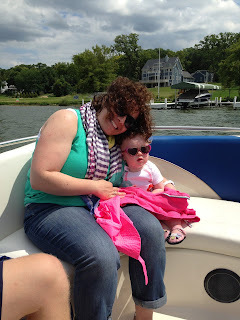 One of the highlights of the weekend was that Eloise had her first boat ride and nap on a boat for that matter. Upon returning home, Eloise decided to take her first steps on her own right before our eyes! 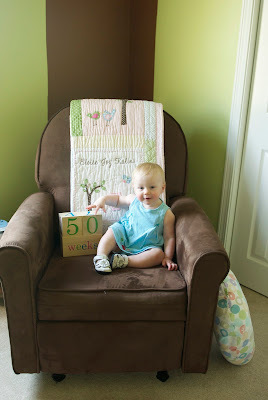 Throughout the rest of the week, we baited her with various things to try and get her to do it again. We were 50% successful. Eloise also cut her 7th tooth...with little fuss.